Electro music powerhouses Zedd and Major Lazer have both recently dropped off new music videos. Zedd’s “Stay” features Alessia Cara’s saccharine vocals while Major Lazer’s “Run Up” taps PartyNextDoor and Nicki Minaj for assistance. There’s no escaping each track’s infectious production, especially now that the weather’s heating up and music festival season is underway. But which EDM gawd has the best video? “Stay” offers a strong narrative with an unhappy ending and “Run Up” pokes fun at our generation’s obsession with smartphones. Peep each REVOLT Authorized visual then choose the best video below? Does Zedd’s reversed clip beat out Major Lazer’s house party? Be heard now! 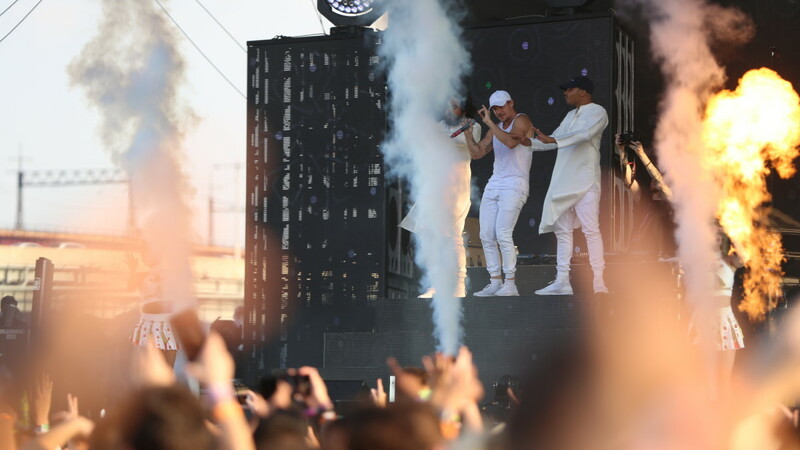 Watch REVOLT Authorized daily to see the hottest EDM vids!